I found this very cheap wifi switches in the internet. You can use Tasmota with the most of the Sonoff devices. Flash your Sonoff like the the manuals you can find in the internet. My manuals are in german, so you must find yours. 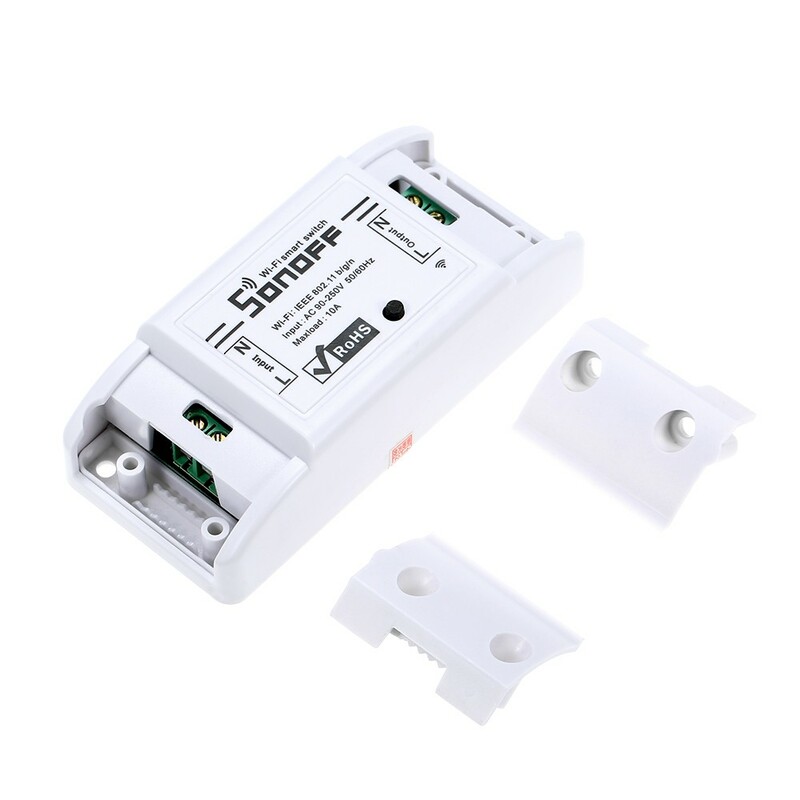 Add a new device with the IP of the sonoff an Port 80. For the Feedback (sonoff uses JSON) you must use "feedback matches specific data"
in the Data fiel insert "POWER":"ON" or "POWER":"OFF". In the Field upper right (i don't know the name right now) insert "}"
Last edited by flinke flasche on Thu Jun 14, 2018 2:50 pm, edited 3 times in total. I use exactly the same, with Tasmota software running. They are very neat, and do work fine. I even purchased a few Sonoff S20 Sockets and updated to Tasmota firmware. Thats good to know. But does the Sonoff relay still work with Alexa direct through the Ewelink skills app ? I guess if its re-flashed you might lose the compatability. Does Tasmoto have dedicated skills? I was using Sonoff relay to trigger Demopad macros by switching Centro inputs, works every time with no IFTTT delays. I think the Sonoff relay was only €24 on Amazon. But does the Sonoff relay still work with Alexa direct through the Ewelink skills app ? Any updates on this, and Sonoff control in general ? We are interested to share knowledge as we are thinking of takning in a few products for testing. Has anyone tried Sonoff with Alexa, Google or any other "smart" voicecommand devices and could share some feedback on this?